Tens of thousands of African asylum seekers demonstrated in Tel Aviv calling for “Freedom!” for the refugees detained in a Negev desert facility under Israel’s new anti-immigrant laws. 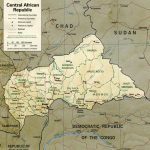 Violence between Christian majority and Muslim minority communities has torn the social fabric of the Central African Republic, one of the world’s poorest countries. Over 1,000 people have been killed since Michel Djotodia seized power in March 2013. Reciprocal massacres have led many observers to see a real possibility of a Rwanda-type genocide.